One stop shop for all your log transport including Self loading trucks, Heavy Haulge and log marketing needs. Wood lot operations from 50ton to as big as you need. 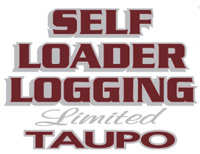 At Self Loading Logging we provide expert knowledge and services in heavy-haul, self-loading and log transport logistics. For a professional service that's hassle-free and cost-effective, give us a call today!